The thing about the forced perspective in NFL is that it is not supposed to look realistic. 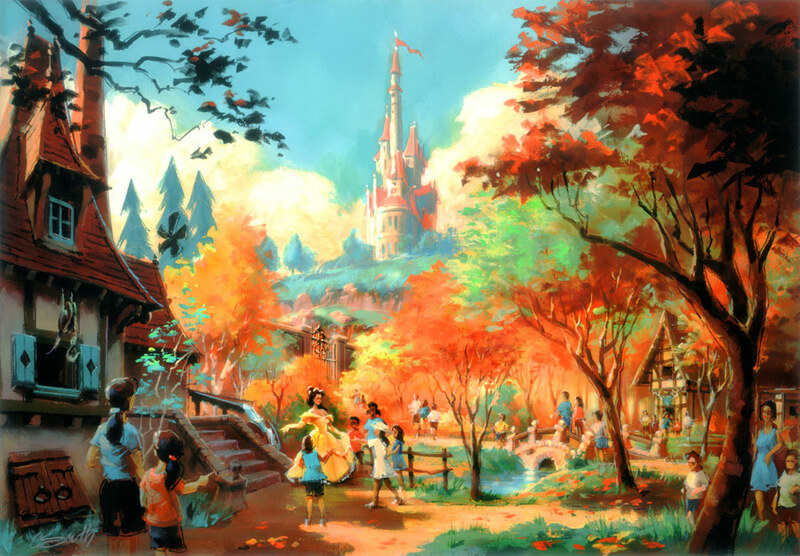 It is supposed to look like a storybook illustration. Very true. They could have done a better job with that. The lightning rods give it away too. They were simply following the general set up of Disneyland. 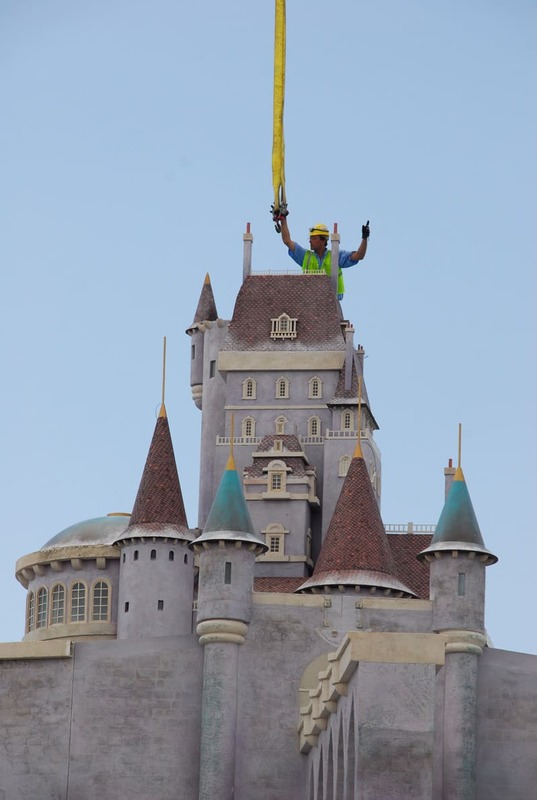 Walt wanted Sleeping Beauty Castle in the center of Disneyland, so the second park followed suit.